CRAMCO, Inc. had its humble beginnings in 1949 when Sydney Cramer began a modest business in a single car garage in Philadelphia, PA. In the late fifties, CRAMCO moved into a facility that could accommodate its growing manufacturing needs. 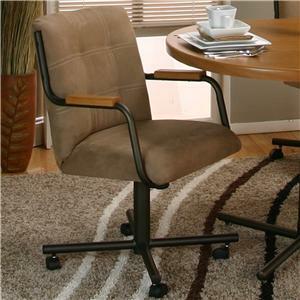 In the early seventies, CRAMCO’s manufacturing line consisted of upholstered den room sets, bars and barstools. 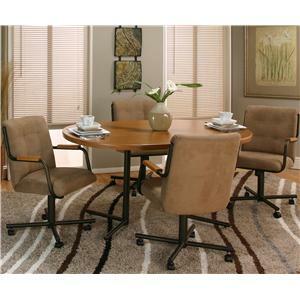 We then added production of promotional metal dining sets. 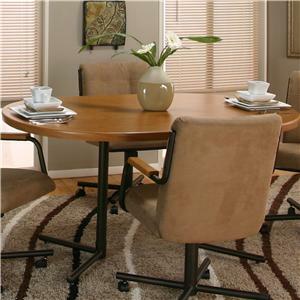 As our dinette line expanded, we began to supply many of the top 100 furniture stores, several furniture distributors, as well as the largest mobile home distributor in the U.S. Eventually, dining set production took over our entire facility and it was time to expand into a larger place. In 1978, CRAMCO moved into a 250,000 square foot facility where state of the art manufacturing was utilized through robotic welders, fully automatic baked on powder coat finishing, state of the art sewing and upholstery, as well as fully automated melamine table laminating presses. This move allowed us to become the largest promotional casual dining manufacturer in the U.S.
Today CRAMCO continues as a family owned and operated business. Syd’s sons, Paul and Louis, grew up in the casual dining business and have adjusted their business to the modern needs of retailers. In today’s global economy, CRAMCO has developed a handful of select manufacturer partners from around the globe. We have our own in-house design team enabling us to incorporate both the classic as well as the cutting edge styles that will compliment any home environment. CRAMCO’s casual dining line has grown to include mixed media materials including handcrafted multi-step finish metal, multiple glass edges, marble, slate, and wood.